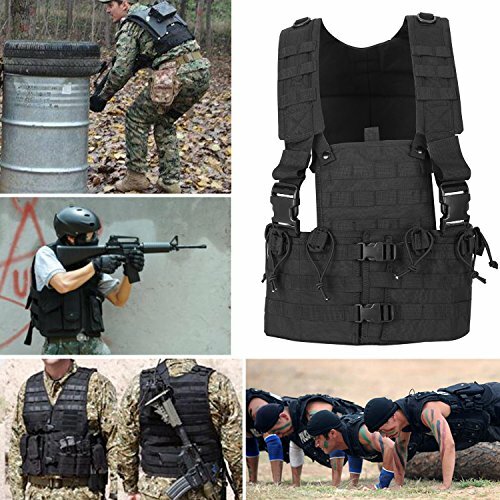 DURABLE & COMFORTABLE- Our tactical MOLLE Vest is made from durable, comfortable high-density 600D Polyester. 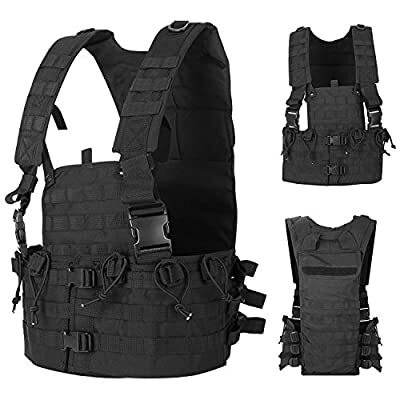 Strong, large, durable zippers and mesh make the tactical vest outstanding. 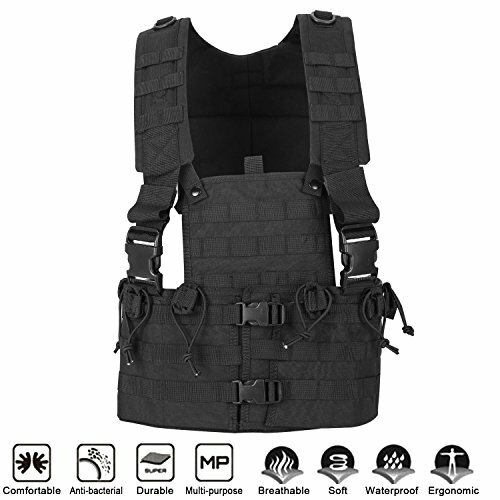 It is a great military vest for CS game, airsoft, paintball, combat and battles. 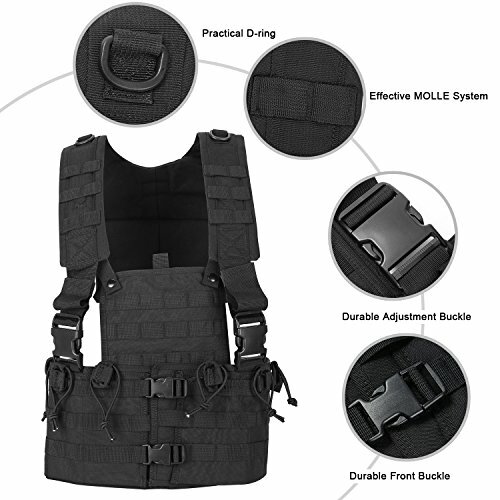 EFFECTIVE MOLLE SYSTEM- The rear MOLLE panel of the assault vest is constructed with modular webbing, allows you to easily attach any additional loads, such as gear, pouches for kettle or cell phone and so on. 2 mental D-rings help you hold carabineers or other equipments, too. 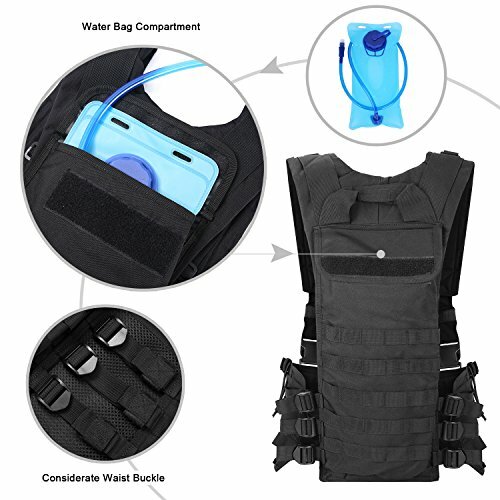 COMPATIBLE WITH HYDRATION BLADDER- This tactical vest is compatible with hydration bladder to provide energy for your journey in time: you can put the hydration bladder into the combat vest to easily complete your challenge. 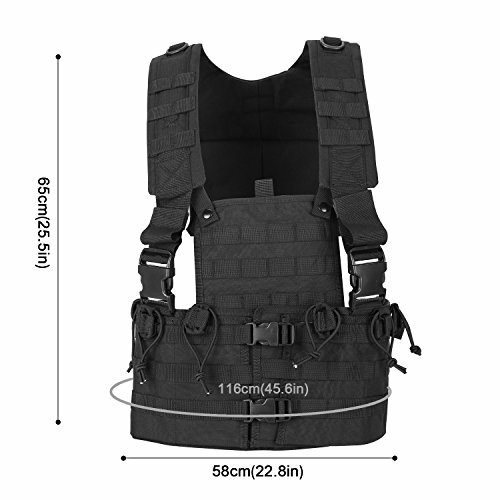 ADJUSTABLE SIZE- The padded shoulder straps of the military combat vest can be adjusted by the adjustable buckle. length max 25.6 inch, waist max 45.6 inch. One size fits most, no more worries about the annoying exchange due to the unbefitting size. OUR PROMISION- 2 year warranty! 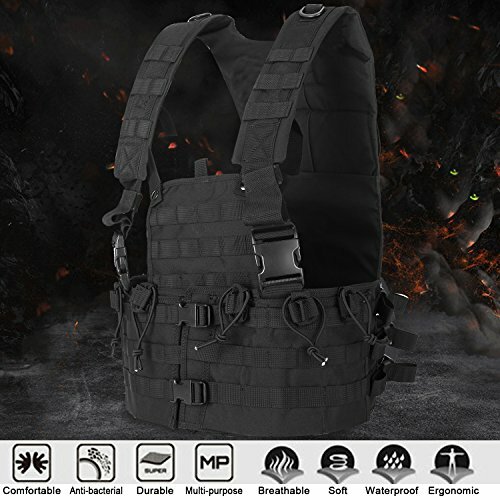 If you have any unsatisfaction for the quality of our tactical vest, please feel free to let us know, we will send you a new replacement or refund you money without any delay.